By collecting and promoting examples of innovative approaches to assessment, we want to give schools ideas and options as they upgrade their systems in response to the removal of levels. We are therefore asking schools and organisations to present their approaches to the Department: where needed, we can allocate funding (of up to £10,000 per unique application) to help create a simple, easy-to-use package for others schools to transfer and use in their own setting. Each package will then be made freely available for other schools to access, download and use. The school has developed a series of ‘progression planners’, which focus on the assessment for those learners whose attainment falls significantly below the expectations outlined in the new ‘Year 1 programmes of study’. They are themed around priority areas for individuals with severe learning difficulties and are consistent with the principles and ethos of the new national curriculum. It is based on precise outcomes and provides a clear basis for tracking progress and reporting to parents. Judges viewed their approach as particularly innovative, practical and based on sound SEN educational thinking. They thought their approach would have relevant application in both mainstream and special education. 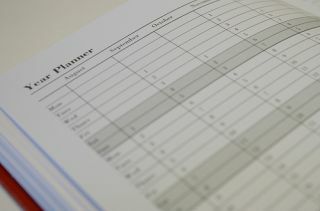 Over the past year, we have been developing a series of progression planners to complement our level-based assessment. These are used by teachers to set personal learning intentions for each pupil, which address priority individual needs, develop key skills, and promote positive health and wellbeing. Our progression planners have started to promote a professional culture, which views progress, in new and more exciting ways. Through using our progression planners, for example, we are able to evaluate those significant achievements, which fall outside of the national curriculum level descriptors, and identify any misunderstandings which need to be addressed to offer learners increased challenge. The progression planners we have developed also enable us to have more meaningful dialogues with parents, which move away from being an abstract conversation about levels, to a much deeper exploration of what their child is more intrinsically learning. Progression Planners could be applied in the context of ICT and Computing. This approach sounds similar to the ladders approaches that other schools have developed, except this seems to be more personalised. The sentence “Through using our progression planners, for example, we are able to evaluate those significant achievements, which fall outside of the national curriculum level descriptors, and identify any misunderstandings which need to be addressed to offer learners increased challenge.” Is significant I think. How can you take into account what pupils are perhaps doing completely independently of school, but which may appear to be outside the scope of the Computing Programme of Study? I say “appear to be” because the new Computing Programme of Study’s descriptors are minimalistic, so this approach would entail doing some mapping on an individual pupil basis. The Progression Planner approach can incorporate some very precise expected outcomes, making it relatively easy to identify pupils falling below expectations in a particular area. To read the first post in this series, please go to 9 Approaches to assessing Computing and ICT–#1: Skills Passport. To gain access to the whole series in one document, just sign up for Digital Education.